Sigma Space creates custom, cutting-edge aerospace instrument systems for a wide variety of applications. 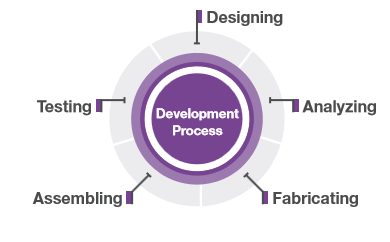 From conceptualization to operations, our expert personnel support the full instrument development life cycle including design, analysis, fabrication, assembly, test, and mission support. From LiDAR and altimeter instruments to attitude determination systems, custom electronics, and beyond, we have successfully created and deployed a variety of different types of instrument systems. Sigma Space designs and builds sophisticated instruments for terrestrial, airborne, and space-based platforms. Our spaceflight expertise includes high-resolution optics, advanced electronics such as synchronous FPGA designs and SpaceWire and 1553B communication protocols, and space-certified quality control procedures. We also design instruments for a variety of aircraft, from the P-3 Orion and ER-2 to the Viking 300 UAV and Global Hawk, as well as for ground-based applications. Navigate the left menu to know more about our Single Photon LiDAR, Atmospheric Sensor and Space Instruments. Sigma Space creates custom, cutting-edge aerospace instrument systems for a wide variety of applications. Whether the task at hand is monitoring climate change or protecting national security, we collaborate with clients to design and build mission-critical instruments. At Sigma Space, we work in small, interdisciplinary teams to translate customer requirements into advanced instrument solu- tions. Our small-team method enhances communication and en- ables our engineers and technicians to produce leading-edge technologies quickly and affordably. Sigma Space designs and builds sophisticated instruments for ter- restrial, airborne, and space-based platforms. Our spaceflight expertise includes high-resolution optics, advanced electronics such as synchronous FPGA designs and SpaceWire and 1553B communication protocols, and space-certified quality control procedures. We also design instruments for a variety of aircraft, from the P-3 Orion and ER-2 to the Viking 300 UAV and Global Hawk, as well as for ground-based applications. With advanced in-house fabrication facilities such as a spaceflight-certified CNC machining center with fundamen- tal metrology capability, thermal vacuum chambers, class 10,000 clean rooms, ESD-certified laboratories, and a suite of tools including collimators, interferometers, and electrical analysis equipment, Sigma Space ensures tight quality control throughout the instrument development process. 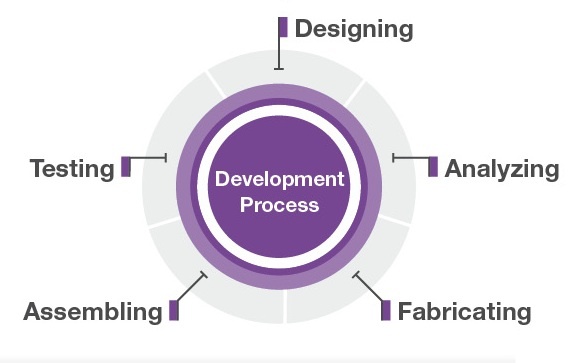 And with co- located engineering and fabrication, we can rapidly respond to emerging issues and evolving customer requirements. Rugged and reliable, our instruments are designed to resist envi- ronmental extremes. Whatever the platform, thermal resilience, shock and vibration accommodation, and autonomous alignment and adjustment are built into our instruments from the outset. We also rigorously test at every step along the way to ensure unparalleled performance when it matters most. Sigma Space provides comprehensive integration, test, and payload support services, as well as application-specific, user-friendly software for seamless data collection, analy- sis, and visualization. Finally, after instrument deployment, we offer operations and field campaign support as part of our end-to-end development services. Built for NASA, TWiLiTE is the first clear-air Doppler wind speed measurement system to fly on a high-altitude aircraft. The system uses a double-edge detection technique to determine wind speed and direction over altitude for atmospheric monitoring and enhanced weather models. Sigma Space has supported TWiLiTE throughout its life cycle, including designing and fabricating the data acquisition system, performing final instrument assembly and alignment, handling the data collected by the system, and supporting ER-2 field campaigns. More recently, Sigma Space configured one of its labs for TWiLiTE, developing custom ground support equipment to facilitate in-lab sky-view testing. Utilizing this advanced workspace, we successfully upgraded and reconfigured the TWiLiTE instrument for the Global Hawk aircraft. A high-altitude, fringe-imaging Doppler LiDAR with built-in high spectral resolution capabilities, CATS gathers data on both wind motion and the properties of clouds and aerosols. Presented with an instrument concept from NASA, Sigma Space designed and fabricated CATS from the ground up—in addition to providing integration, test, and field support. Since CATS needed to fly in the wing pod of an ER-2, the instrument had to be small, light, and resistant to significant pressure changes. So we developed innovative hardware including a unique carbon fiber pressure vessel to protect sensitive electronics and an inflatable pressure vessel coupled with a composite housing for the telescope. Rugged and lightweight, the resulting instrument successfully collected data during numerous flights. PACS is a multiwavelength, hyperangular imaging polarimeter designed to provide wide-swath cloud and aerosol measurements. Called upon by NASA to provide optomechanical design and fabrication, Sigma Space designed each of the instrument’s three wavelength channels with a full 80 percent of parts in common. We then used an advanced titanium rapid prototyping technique to build complex yet lightweight optomechanical structures—improving function, cutting costs, and speeding delivery. Further, we provided the instrument’s packaging, thermal system, and mounting on the ER-2 aircraft. PACS has since flown successfully, and with a modular design and high-technical-readiness parts, can readily be adapted for additional aircraft and spaceflight platforms. CPL provides data on cloud height and on the structure of aerosols and smoke plumes needed to better understand the interaction of Earth’s land and atmosphere. Originally flown on the ER-2, CPL is the first NASA active remote sensing instrument to fly on the Global Hawk. Sigma Space’s work on CPL highlights the breadth of our instrument development capabilities. Working with a NASA instrument concept, we designed, fabricated, assembled, and integrated the instrument’s complete optomechanical, electrical, data, software, and communication systems on a tight 8-month timetable. The resulting ER‑2-based instrument has since demonstrated excellent performance. So when a second CPL configured for flight in the Global Hawk was needed, NASA again turned to Sigma Space. We not only developed the same systems as for the first instrument, but ensured full compatibility with the aircraft’s electrical and software systems in addition to designing and building the needed fairing. Our Aerospace Instrument Division’s scientists and engineers work in close coordination through the entire mission lifecycle. We provide a seamless bridge of scientific and mission objectives with our unique instrument engineering capabilities, including instrument design, analysis, modeling, development, test, calibration, and validation. Sigma Space has been a key contributor to complex and challenging aerospace instrument programs including the James Webb Space Telescope (JWST), ICESAT I and II, and the Glory APS Instrument. Our Micro Pulse and Single Photon LiDARs have flown successfully on both balloons and high altitude aircraft such as the ER-2, returning remarkable data to help scientists begin to understand the nature of our changing planet. Sigma Space is ready to help you cost-effectively achieve your Aerospace Instrument objectives. For more information contact us today! The Advanced Topographic Laser Altimeter System (ATLAS) Laser Reference System (LRS) is a subassembly of the Alignment Monitoring and Control System, AMCS, on the ATLAS instrument, which will be installed on the ICESat-2 spacecraft. ICESat-2 is the second generation Ice, Cloud, and Land Elevation Satellite orbiting laser altimeter. The ATLAS LRS consists of two adjoining detector arrays with associated optical systems (cameras), providing the ATLAS instrument with orientation measurements between the star field, the transmitted laser beam pattern, and the Telescope Alignment Monitoring Source, TAMS, measurement pattern. These measurements will be used for geo-location control by the spacecraft as well as geo-location knowledge for the ground processing of scientific data collected from the mission. Sigma Space has been integral in the mechanical, optical, and thermal designs of the ATLAS LRS Optical Assembly, including designing and building a custom Optical Ground Support Equipment (OGSE) station for performing functional and comprehensive qualification testing of the instrument. In addition, Sigma Space has contributed to the mechanical design of and is responsible for fabricating a one of a kind Sunshade, which allows the ATLAS LRS to meet mission requirements while the sun is near to the LRS Field of View. The ATLAS instrument will perform highly accurate three-dimensional measurements of the Earth’s surface and structures using a photon counting technique. Photon counting allows for the use of a low powered laser and single-photon sensitive detectors. These measurements are performed with Sigma Space's Photon Counting Electronics (PCE) cards. Three PCE cards reside in the Main Electronics Box (MEB) of the ATLAS instrument, which will be installed on the Ice, Cloud, and land Elevation Satellite-2 (ICESat-2) spacecraft. The ATLAS instrument uses a multi-beam approach in transmitting three laser tracks on the Earth. Each PCE card is assigned to one track, and each PCE card independently performs fine time of flight measurements of returned photons with centimeter-level vertical resolution. Simultaneously, the PCE generates histograms for the returned photons in order to help find the surface of the Earth. The PCE uses an embedded processor running an advanced algorithm along with custom hardware co-processing to help determine which of the acquired time measurements relate to the topographic features of the Earth.